My 9 month old German Shepard Diesel. Yup they are grest and one of the best. The skid pad will awesome. Yo, "Sam"! I totally second your motion, Fox Valley Tech is awesome! I went there exactly two years ago, and was very impressed with the program. And yes, JakeBrake, we got to do the skid pad. I jackknifed that flatbed so hard, I put the seatbelt to good use. It was fun and sobering at the same time. Made me realize how quickly it can happen, and how bad it would be! Roehl sends students there from their cdl program. Did they let you drive the skid pad? That's about the only thing I wanna try just to see what it feels like. Ummm, Yeah... my name isn't Old School either, but don't let Daniel B know that. The better schools seem to be the state/county education system schools. They also tend to be the least expensive - usually running $2K or under. So they tend to be the most cost-effective (versus the $4-6K "private schools"), but the least "time effective" taking months longer than other courses. As far as "the best" - most of them tend to be 9-12 week courses (320 hours +), and this is more to fulfill an hours/curriculum requirement set by the dept of education, than necessarily an industry one. And graduates will still find themselves getting hires at companies that hire "recent graduates", or training companies that do their own in-house CDL courses. Not knocking your school there Sam. Though I doubt folks are going to move to Wisconsin to attend it either. I just graduated, I no longer attend and they have job fairs. Are they assisting you with job placement? If so, how's that going? 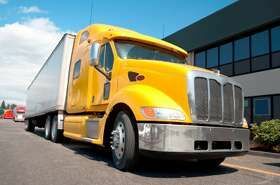 I just finished a 12 week program at one of the top rated Truck Drivng schools in this country. That school is Fox Vally Techincal College in Appleton, Wisconsin, they teach you more stuff then any other school in the country and I by a long shot recommend the place to anyone. It's cheap unlike other schools. Please check out the school, the instructors are very nice and professional and they have some nice trucks. I do recommend thw school if you are oooking for your career as a truck driver. I wouldn't of been able to attain my CDL or finish school, but i have just done that. Good luck to both of you. When I read this I thought it was a joke. 90 in a construction zone???? Really? And you read the signs cause you knew fines are supposed to be doubled. Please slow it down and drive safely when you get in a truck. You need to have respect for these huge heavy machines, and respect for those around you that you could kill, including construction workers. Did you learn anything from the tickets? Cause it doesn't sound like you have. It sounds like you are shrugging them off and THAT can get u killed. It was over listed as 20 over, never was mentioned that it was in a construction zone. Yes i have applied to many, in fact I'm leaving Sunday afternoon for Minneapolis for orientation for Dart Transit Company on Tuesday, and I have a relative that knows the owner personally so that will I hope work a bit better. Your record should show it as being whatever the ticket was reduced to. But I'm afraid that's not a whole lot better. Twenty over in a construction zone is going to scare the pants off of trucking companies, and that's your second recent speeding ticket. Not all states label 15+ over the limit as reckless driving but you can be sure all trucking companies do. Safety is everything in this industry. It's going to be tough to overcome those. You should be able to find some takers but you might have to be pretty diligent about applying to a lot of places. back in August of 2013 I got pulled over for going 19 over 84 in a 65 mph zone, but it got reduced to 10 over. October 2015 I got pulled over for going 35 over 90 in a 55 mph zone( construction zone) here's the kicker on that it wasn't doubled. as it says in construction zones. the judge reduced it to 20 over and it wasn't never mentioned as reckless driving, just speeding. will my record show it as 35mph over or 20mph over? I've paid both tickets.